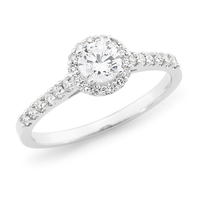 Simplistic brilliance. 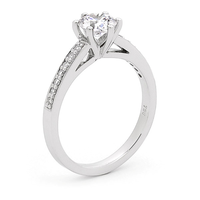 This 18ct white gold minimalistic design features a 6-claw setting used to uphold the centre diamond in a gracious way while allowing plenty of light to bounce through. 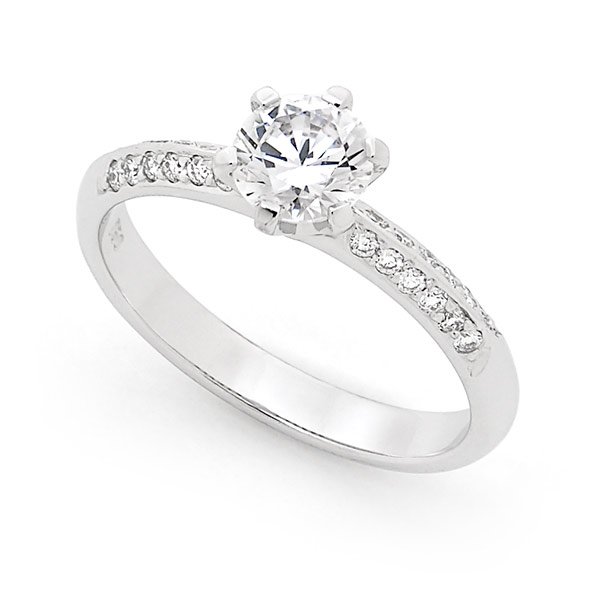 The brilliant cut centre diamond was sourced uniquely for this ring from the diamond capital of the world - Antwerp, Belgium. 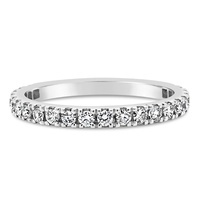 This ring has been uniquely crafted using a knife edge pave set diamond band which includes 2 rows of brilliant cut diamonds. 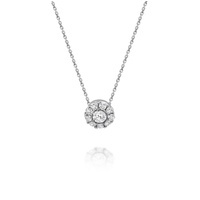 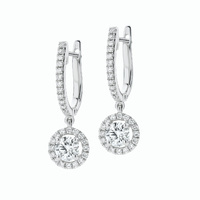 This draws the eye allowing the centre stone to stand out and take centre stage. 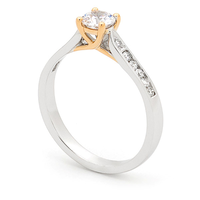 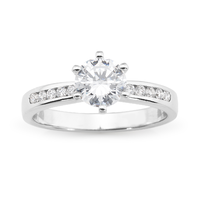 This ring has been designed to be delicate and simple while shining bright on the finger.